This RFID secure nylon passport wallet has 5 card slots. 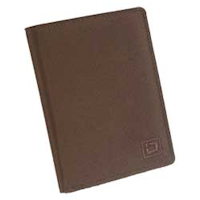 Our smart design RFID passport wallets for men allows easy insertion so that you do not have to bend or break the spine of your passport book when inserting or removing it. There is also a compartment for bills or additional cards behind the card slots. Simply slide your closed passport into the shielded pocket on the inside left of the wallet and it's protected from electronic pickpocketing. On the inside right of the wallet, use four pockets to protect your credit and debit cards or credentials. 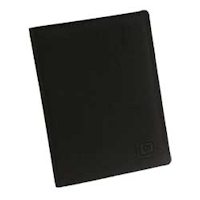 Finally, protect your ID in the shielded ID pocket where it is easily available for passport and ID requirements. 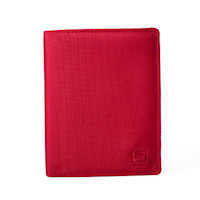 This RFID blocking nylon wallet has a Secure by Design Police Approval Specification for Identity Fraud Protection.